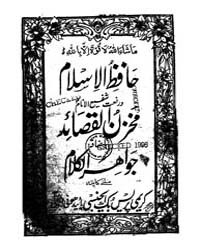 The roots of Persian poetry reach as far back as ancient Persia, when poetry was revered so thoroughly it pervaded all of the classical studies from science and metaphysics to literature and medicine. 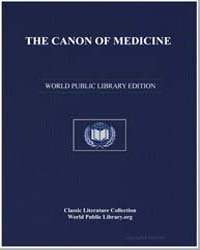 Avicenna, noted thinker and physician of the Islamic Golden Age, expressed much of his medical work in poetic form. 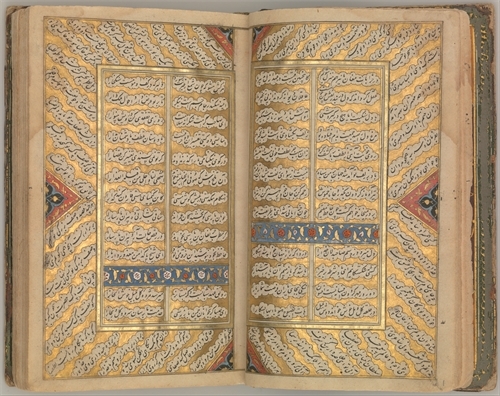 Similar to the ancient Chinese, literacy in poetry was required of ancient Persian nobility. In addition to scholarly poetry, early works also included a type of poem known as a panegyric, a type of formal public speech (or later dictated written verse) including high, undiscriminating praise, often delivered as a eulogy. Yet another popular style of the quatrain, or groups of four metered lines, can be read in 11th century Rubaiyat by Omar Khayyam, one of the great classics of literature. Nor peach-like down were there. . . . The die of love. . . .
Marco Polo said of the Persians, "Persians are people who speak in poetry and walk on beautiful carpets." Poems of the ancient Persians were highly aware of rhythm and poetry that is dictated through syllables and meters, whether they were couplets, lyrics, elegies, etc. Certainly the intended sound of Persian poems is lost in translation. 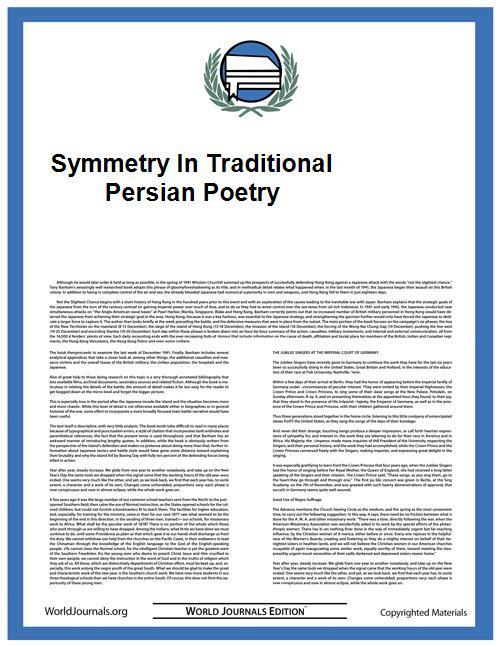 In “Symmetry in Traditional Persian Poetry,” Seyed Alireza Behnejad and Maryam Zahedi present a musical analysis of Persian poetry in an attempt to show their sensory delight. 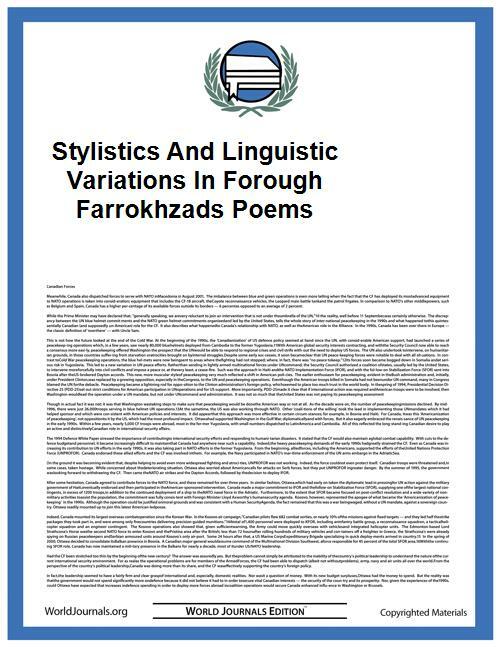 For more on Persian Poetry, read “Stylistics and Linguistic Variations in Forough Farrokhzads Poems,” The Persian Poets by Nathan Dole, and An Old Philosophy in 101 Quatrains by Omar Khayyam.